going strong online. Your support is always appreciated. 1964: Candid at dinner with theater producer Frank Hale (includes newspaper clipping). 1967: Hosting ABC's Hollywood Palace (includes newspaper clipping). 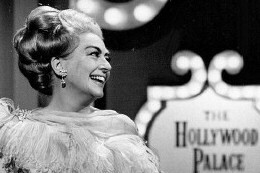 1968: A still from The Lucy Show with Lew Parker. 1959: On the set of GE Theater's "And One Was Loyal" with Tom Helmore (includes press captions); and publicity for Zane Grey Theatre's "Rebel Range" (includes press caption). 1961: Publicity for Zane Grey Theatre's "One Must Die" (includes press captions). 1963: At the Oscars with Gregory Peck, Sophia Loren, and Maximilian Schell. 1955 to friend Bill Shea with inside joke. 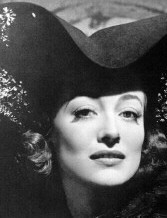 FILMS: Thanks to Michael Lia for his review of The Story of Esther Costello. (And he's got more to come!) 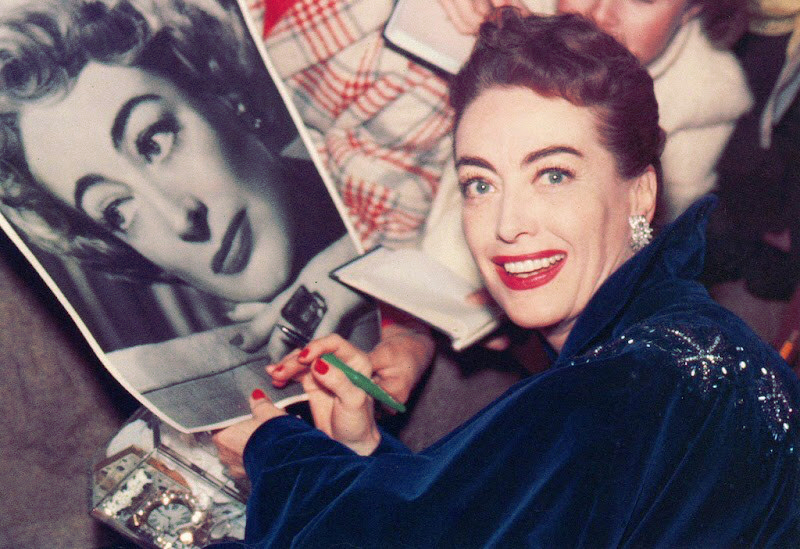 If you'd like to share your own review of any Joan film with readers of this website, please e-mail me (and remember to include a star rating, of 5). PHOTOS: Thanks to Vincent for the below 5 great photos! 1955: Queen Bee -- Birthday flowers on the set with director Ranald MacDougall, one and two. And preparing for scenes with crew, one and two. 1957: The Story of Esther Costello -- On the set with Heather Sears and Sears' visiting sister. 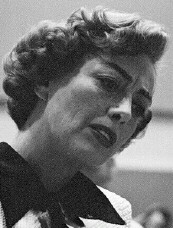 1950: Publicity for Harriet Craig. And thanks to Vincent for these candids on the Harriet set: one and two (with Wendell Corey and Cliquot). 1952: RKO publicity for Sudden Fear by Ernest Bachrach; and a candid on the set of a CBS Radio show. 1954: Candid with Sonja Henie by Bob Beerman. 1955: A film still from Female on the Beach with Jeff Chandler, Natalie Schafer, Ed Fury, and Cecil Kellaway. LETTERS: 5 chatty letters to same fan, with thanks, family Easter plans, friendship philosophies, movie and TV plans, etc. : 1944, 1950, 1951, 1952, and 1953. 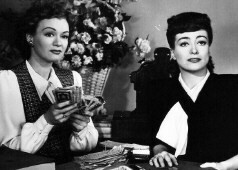 1945: A film still from Mildred Pierce with Eve Arden. 1950: A film still from Harriet Craig; and a Damned Don't Cry publicity shot by Bert Six. 1951: Publicity for Goodbye, My Fancy by Bert Six. 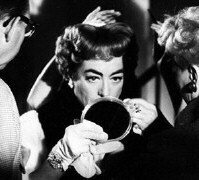 Sunday, April 25: 5:30pm -- What Ever Happened to Baby Jane? Publicity for Ice Follies of 1939 with James Stewart and Lew Ayres (includes press caption). 1941: Publicity for When Ladies Meet (includes press caption). 1942: Columbia publicity at home for They All Kissed the Bride. 1943: MGM publicity at home for Above Suspicion (includes press caption). 1938 PHOTOS: Publicity for Vogue by Horst P. Horst. A new entry for and photo of Horst. No More Ladies (1935) -- Three links, US and Swedish movie posters, two bigger lobby cards, a US magazine ad, and the end title shot. 1929: Publicity at home by Ruth Harriet Louise; and a film still from The Duke Steps Out with William Haines. Montana Moon (1930) -- A link. Our Blushing Brides (1930) -- A link. Paid (1930) -- A plot summary and 3 links. 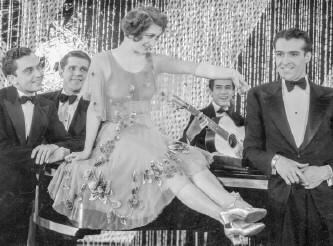 Hollywood Revue of 1929: New publicity with band members; and a big addition from the "Singin' in the Rain" number to already existing page. Paris (1926) -- A Swedish window card. The Unknown (1927) -- A lobby card; two French movie posters; and, in Misc., a US window card and French press sheet cover. Twelve Miles Out (1927) -- A Swedish window card. Spring Fever (1927) -- End title shot. Across to Singapore (1928) -- End title shot. Our Dancing Daughters (1928) -- Link and end title shot. 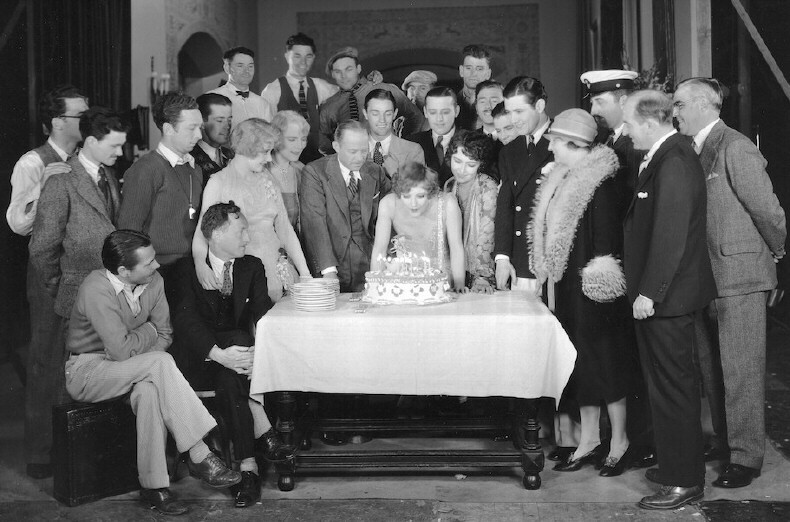 Hollywood Revue of 1929 -- Three new links and end title shot. Our Modern Maidens (1929) -- Link and end title shot. Untamed (1929) -- A plot summary and three new links. FILMS: Four new movie posters for The Karate Killers. Thomas LeSueur -- Added two Abilene, Texas, newspaper articles about LeSueur's death, age 70, in 1938. Alfred Lunt and Lynn Fontanne -- Added a new entry and photo for this premiere (reputedly lavender) Broadway couple that inspired Joan to marry Franchot Tone in 1935. 1970 PHOTOS: Five color screen shots from Trog on pages one, two, and three (thanks to the very patient Vincent E). FILMS: Links for The Caretakers, Links and movie poster for The Karate Killers, and Links for Trog. ENCYCLOPEDIA: K: Updated entry for The Karate Killers. TIMELINE: 1967: Updated info for Man from U.N.C.L.E. and Karate Killers filming and release, first on US TV and then in London theaters. 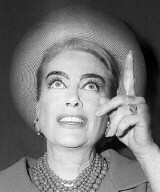 1962: A film still from What Ever Happened to Baby Jane? 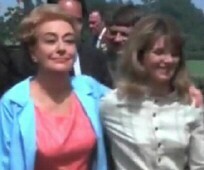 with Bette Davis. 1966: At the Savoy in London. ART: Bigger, better replacement for Rod Serling with Joan's Night Gallery painting (by Jerry Gebr). 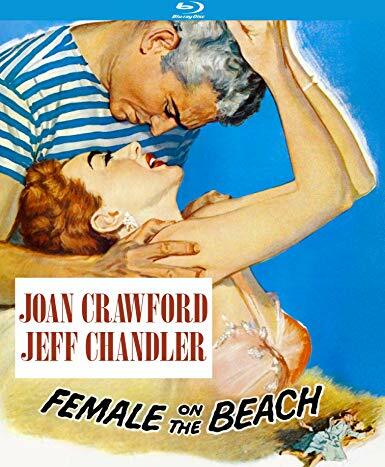 FILMS: Links and Notes for Torch Song, Female on the Beach, Queen Bee, and Autumn Leaves. coming weeks or months, please e-mail me so I can post the info below. Let me know if you have updates to add here. 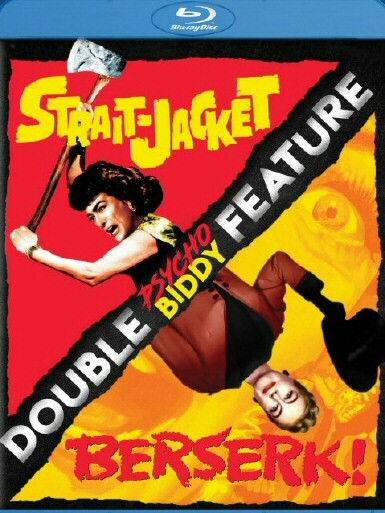 A sampling of reviews: whysoblu.htm / screenanarchy.com / horrortalk.com / avnirvana.com.